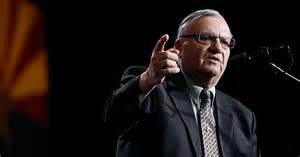 Today with coffee in hand, I opened the Sunday edition of the newspaper and what did I see but the two faces of President Trump and Joe Arpaio and a headline, “Pardon, Politics & Power.” We just can’t stop seeing the press constantly needling anything to get things riled up. 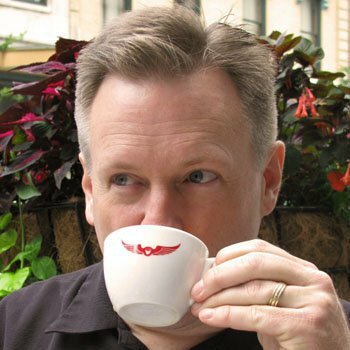 So I decided to take a look at one of the humanitarian arguments MSM prints on a daily basis. Many of the protesters have demanded Arpaio’s head on a platter as justice for the thousands of poor families who have been ripped apart. The children who’s parents have been returned to their country leaving them without a mother or a father to take care of them. The argument that the parents made a choice to come to this country illegally in hopes of staying here, falls on deaf ears. The pardoning of Joe Arpaio is a slap to the poor children who see this as injustice to their own futures. To those children whose parents have been or will be deported I say yes, it is unfair to you and you deserve to have your parents. To those same children I say go with your parents and work hard to make a life and be successful. Your future is up to you regardless of where you live. The good thing is your parents are alive and can give you a loving hug and support as you grow to be adults no matter where you live. But now let’s look at another use of the Presidential pardon system. How about President Obama? Over and over the accusations fly through the media that Joe Arpaio caused death and destruction of families as he rounded up the illegal population. 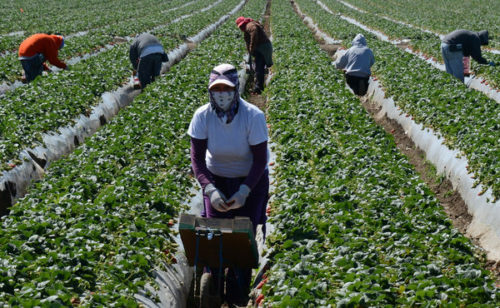 Arpaio targeted cooks, bricklayers, gardeners, housekeepers and nannies. He took dads and moms from innocent little children. How dare he be pardoned! Here is a list of who President Obama pardoned. As you look at the list, I want to share what I see as I compare these pardons to the pardoning of Joe Arpaio. President Obama was a supporter of releasing men and women who trafficked in illegal drugs. I submit that more children and families were destroyed by drugs and drug trafficking than were ever destroyed by Joe Arpaio’s focus on arresting and removing illegal immigrants. If you have ever worked in the child welfare area of any state you see death and destruction. Innocent babies born drug addicted who often never get over the medical issues they face day in and day out as they shake and cry thorough early withdrawal from drugs fed to them through the mother’s bloodstream. The children who spend the first five years of their lives with doctors and hospitals, more drugs and more treatments and hours with counselors who try to help them feel normal. The children who grow into angry teenagers who never understand what a normal life is all about. Then there are the children who face a lifetime of watching their parents spend time not on books and toys or cheering them on at their sports games but instead, spend time doing drugs and displaying out of control behavior. Children who know when mommy and daddy are high and how to stay out of their way. 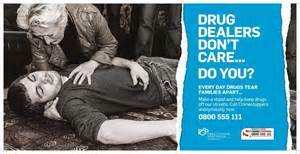 Children who go to school hiding the bruises, cigarette burns and wounds inflicted on them by their parents. They face the embarrassment of soiled and torn clothing, lice infested heads, sleep deprivation, worn shoes and hungry bellies. I support President Trump’s pardon of Joe Arpaio. As a taxpayer, I want to stop spending my taxes on the prosecution of an 82-year old man who believed that he was elected to enforce the law. President Trump did the right thing to put this issue behind all of us. This is over. President Obama on the other hand put drug dealers back on the street. Most of them are probably still doing the same thing they have always done, destroying families and people. We will continue to spend our tax dollars to prosecute these same people and pay to keep them fed, clothed and entertained in the prison system. We will continue to try and heal the children who are affected by the people Obama pardoned. When will that be over, never. 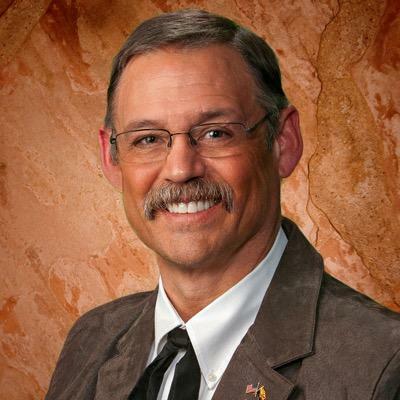 STATE CAPITOL, PHOENIX – Representative Mark Finchem (R-11) today expressed appreciation for the Arizona Supreme Court’s decision that Tucson’s controversial practice of destroying seized firearms is a violation of state law. Between 2013 and 2016 the Tucson Police Department destroyed 4,820 guns, some of which were turned in by residents and others seized from crime investigations. In 2013, Governor Brewer signed into law HB 2455, a bill that prohibits a city or town from destroying a firearm and requires them to sell any unclaimed firearms in their possession. 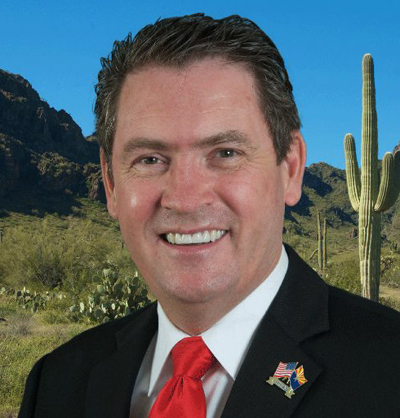 Subsequently in 2016, Governor Ducey signed into law SB 1487, a bill that directs the Attorney General (AG), upon request of a member of the Legislature, to investigate any alleged violations of the Arizona Constitution or state law by a governing body of a county or municipality. Elected law enforcement officials are in the precarious position of approaching their job from either a half-empty or a half-full position. As we’ve seen from many a sheriff, fear is a tremendous motivator when it comes to driving an agenda. Some sheriffs might cast their office as the object to be feared. Other sheriffs cast the outside world as the source of all danger. The latter is what we witnessed in the public arena from Sheriff Paul Babeu on Tuesday. In a press conference (which turned into a political speech), Pinal County Sheriff Paul Babeu claimed he has “additional intelligence” that Mexican hit men or “sicarios” were heading into Arizona to assassinate rival drug cartel members. Those attacks would likely take place over Memorial Day weekend. He cited several incidents south of Pinal County and advised campers and hikers to be fully armed and prepared to protect themselves. 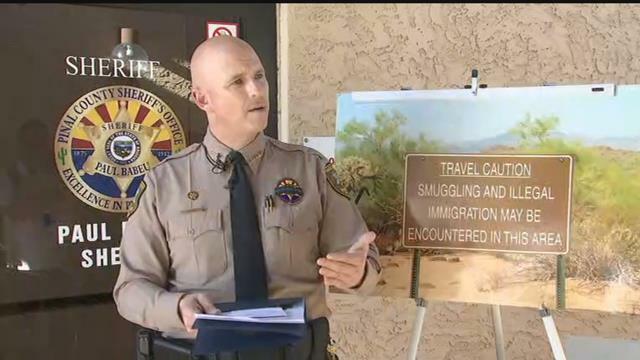 The press conference turned political when Babeu blamed the Obama Administration for not protecting our southern border (a point we agree on). What was barely mentioned was that hours after the warning, congressional candidate Paul Babeu sent out a fundraising letter mentioning his press conference and advisory. The timing couldn’t be more obvious: Fear is a tremendous motivator for fundraising. 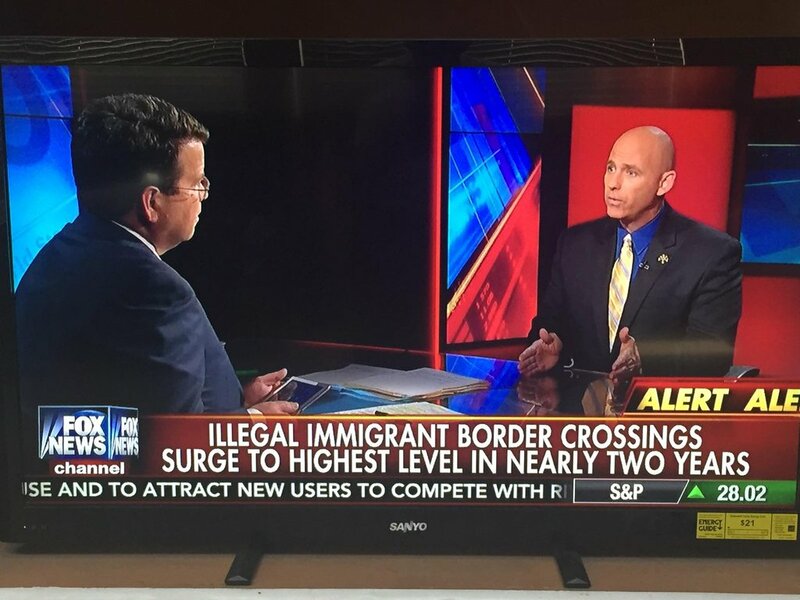 Babeu even appeared on Your World with Neil Cavuto talking up the threat and danger of Mexican assassins running rampant through the Arizona desert. Photo courtesy of Paul Babeu’s Twitter feed. First, any threat of this nature would be announced from the Department of Homeland Security, FBI, Border Patrol and Arizona Department of Public Safety. When a threat is this serious and credible, it is vetted at all levels of government and is passed through multiple chains of command and communications. Governor Doug Ducey would be one of the first to know and to issue warnings through Arizona DPS. The Sheriff claims he was informed about the threat but failed to share it with other law enforcement agencies? Second, Paul Babeu is a candidate for congress running on a single-issue – immigration and border security. Even though Pinal county does not border Mexico, illegal border crossers still make their way through his jurisdiction – just like they do in every other county in Arizona. We certainly won’t disagree that immigration and border security has become a national security issue we should take seriously, but some politicians have used the issue as a fear-for-votes political strategy. For Paul Babeu, it’s the only issue he knows and he’s using it at every opportunity for pure political gain. Multiple media appearances and fundraising letters from Babeu are evidence of this. Finally, in law enforcement matters, every serious credible threat demands a serious credible response or action plan. According to reports, during his press conference, Sheriff Babeu made no request for assistance from the Governor’s office, Arizona DPS, Homeland Security, the National Guard, the FBI, etc. Instead, he told private citizens to arm themselves. A review of several Arizona law enforcement agency websites including the Governor’s office, shows no mention of public safety threats by sicarios in the Arizona desert. The truth is, we have a county sheriff running for Congress who is sensationalizing on the only issue he knows in order to grab media attention and raise money for his political campaign. In the meantime, private citizens have been told to pack heat in the badlands of Arizona by a sheriff who apparently is finding it difficult to protect his own constituents. This Memorial Day weekend, we recommend being vigilant of all threats – whether they’re credible or presented for pure political profit. But most importantly, we ask that you remember and honor those, who against all fear and personal gain, paid the ultimate price through their selfless sacrifice to protect and preserve our freedoms.